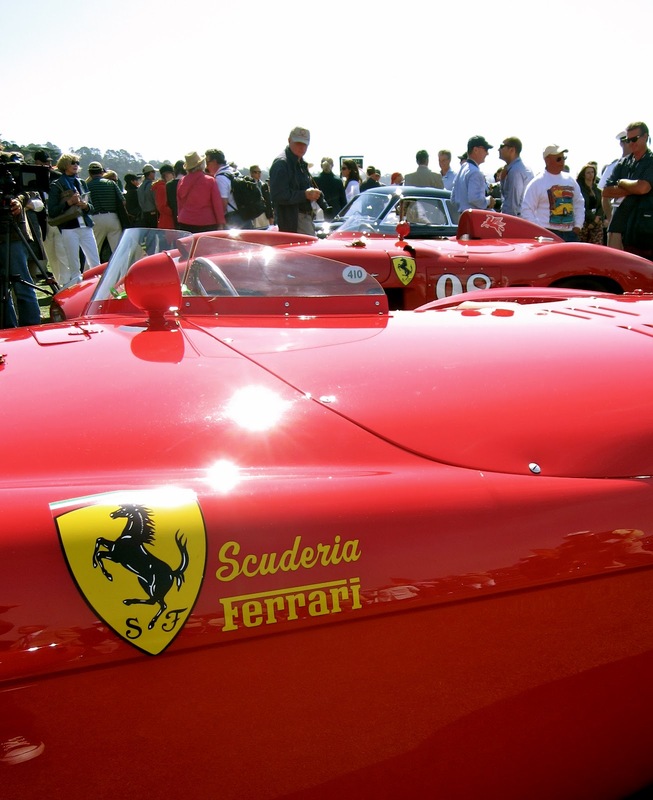 Rows and rows of car haulers were waiting to take cars home to their new owners. 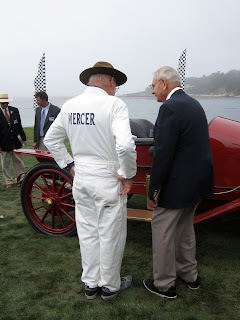 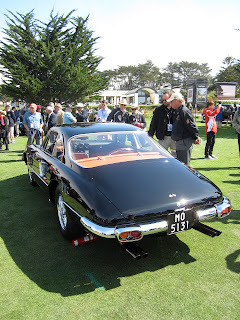 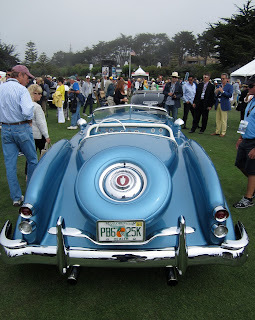 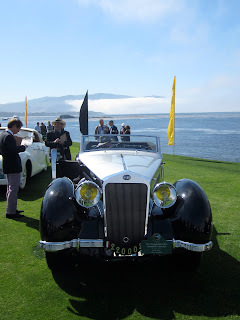 Sunday morning it was off to the Pebble Beach Concours d'Elegance. 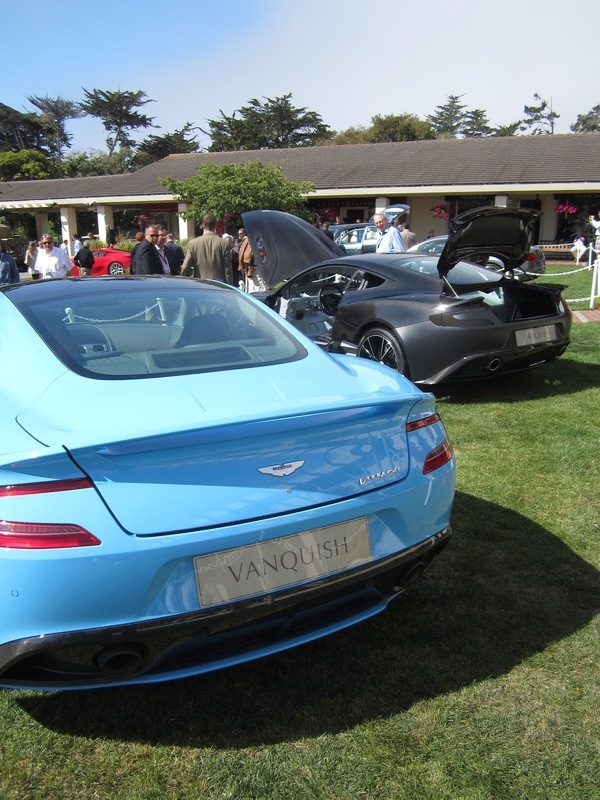 The event is definitely a sight to see. Though it took quite a bit of navigating to finally getting into the venue, it was worth the effort. 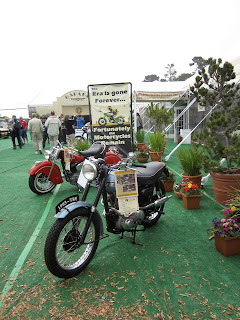 The first stop was the Mid America Auctions Motorcycle Marketplace at Pebble Beach. The auction tent housed a great collection of rare and desirable motorcycles. 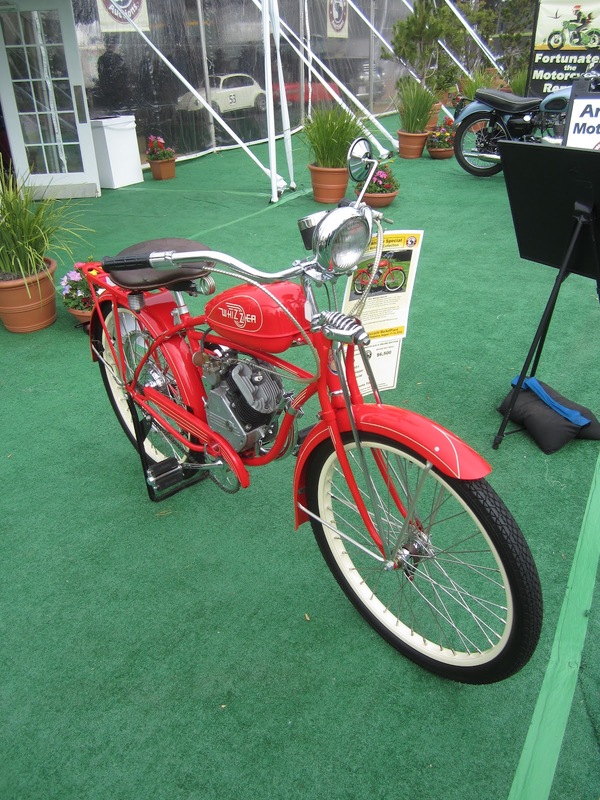 There were a lot of vintage Triumph motorcycles up for auction, but also a variety of bikes from Indian, Harley Davidson, BSA and BMW. 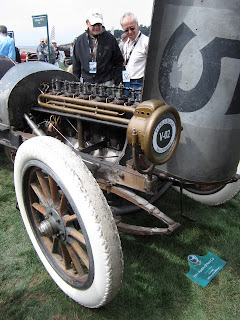 There were a few early Harley Davidson board track racers on display. 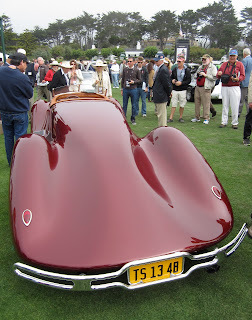 This is the gas tank of an original 1939 Indian Factory Hillclimber. The next stop was Retro Auto. 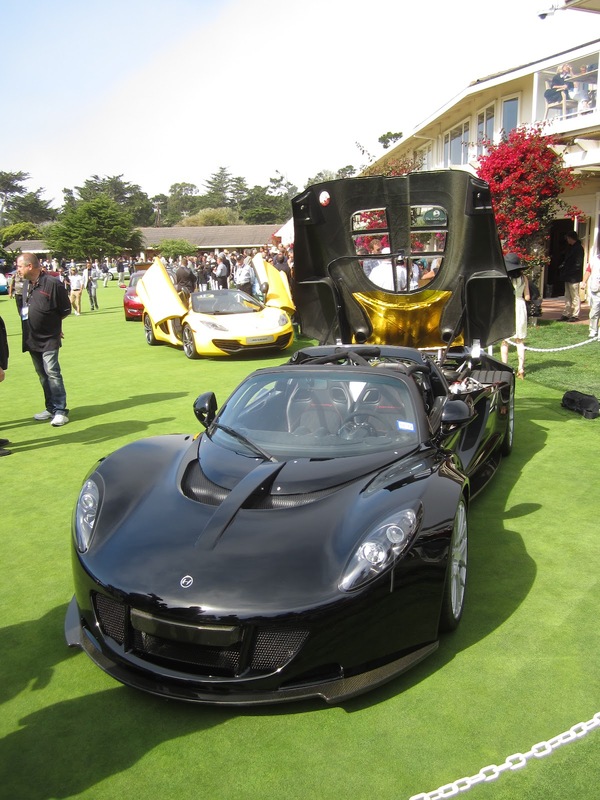 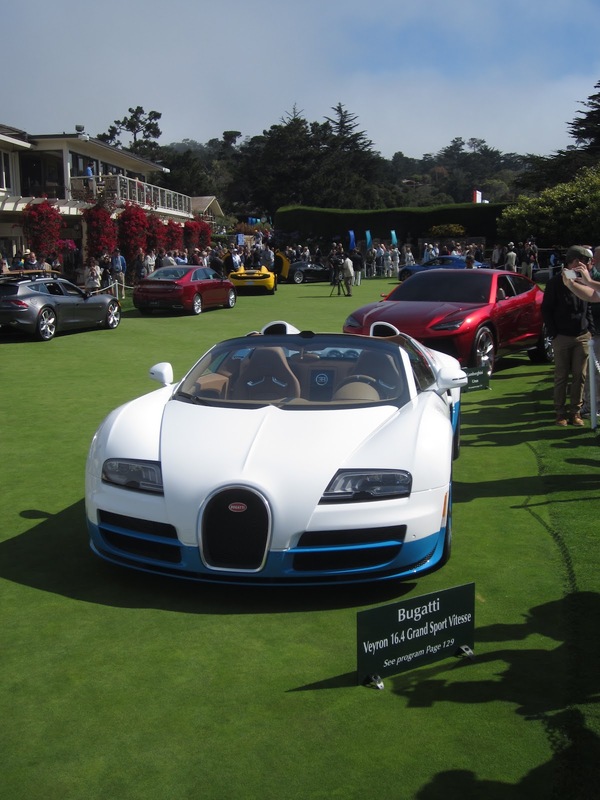 Retro Auto is a marketplace for automotive collectibles and lifestyle products. 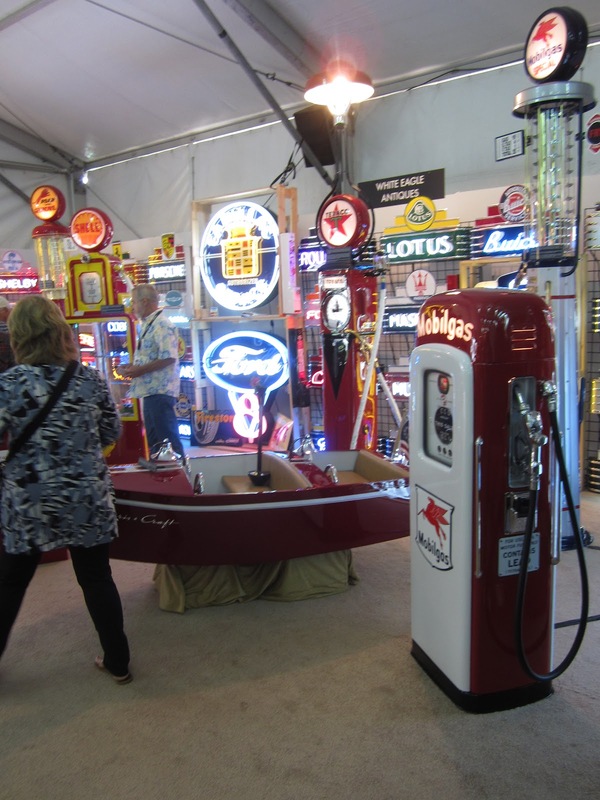 There was plenty of art, accessories and apparel up for sale at Retro Auto. 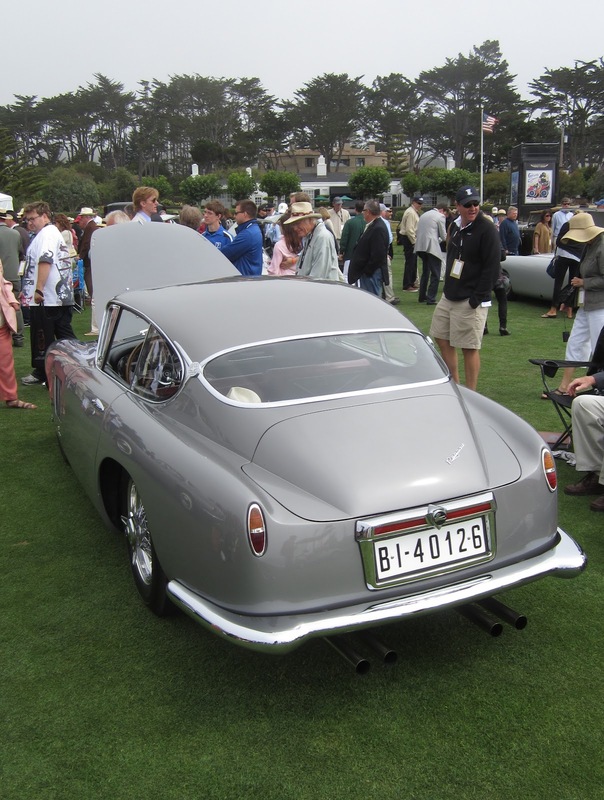 On the walk to the Concours there were a group of display by automotive manufacturers such as Land Rover, Cadillac, Hyundai and Jaguar. 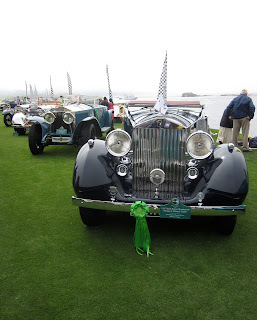 Many of the displays featured unique vintage cars. 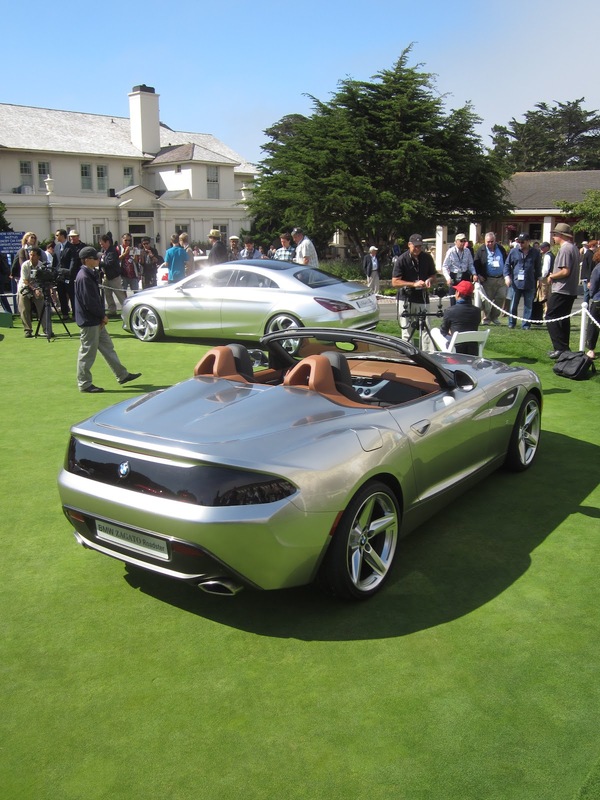 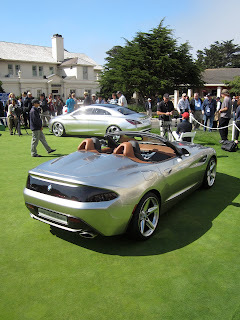 Cadillac Ciel on display at Pebble Beach. 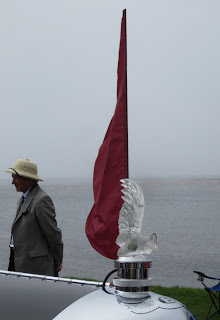 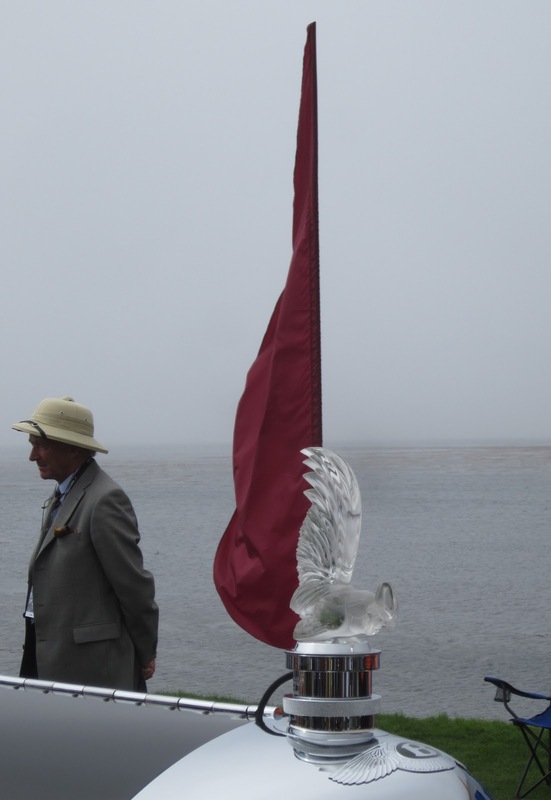 Outside of The Lodge and shops was the prototype display. This area featured unique prototypes from Aston Martin, Fisker, Lincoln and McClaren amongst others. 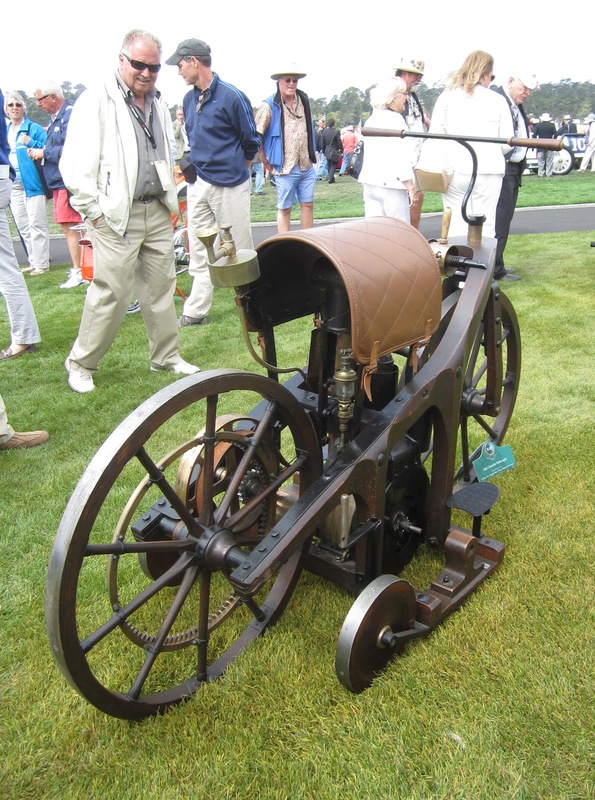 As expected, most of the action was down on the 18th fairway. 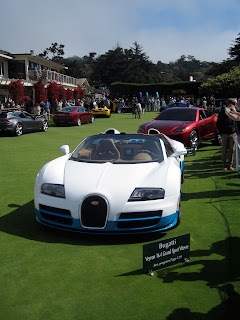 Rows and rows of cars were parked according to whatever category they were competing in that afternoon. 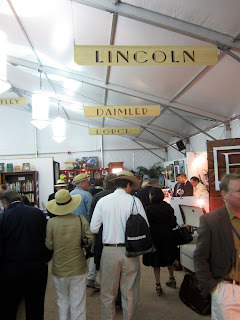 Judges were walking around together making notes in preparation of the award ceremony. The shows featured a wide variety of classic cars. 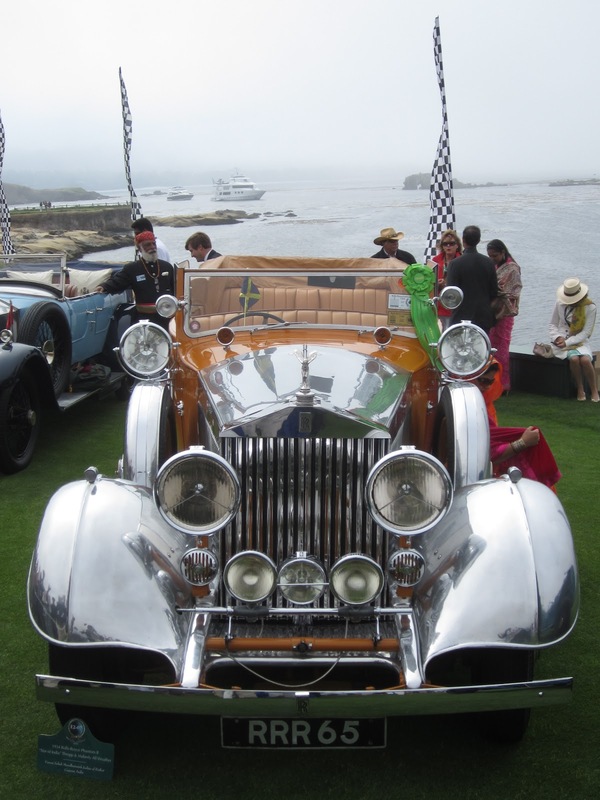 There were many one of a kind and unique automobiles that you do not find at car shows. 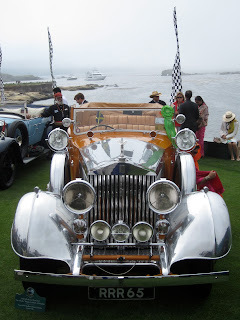 Many of the cars were part of museum collections. 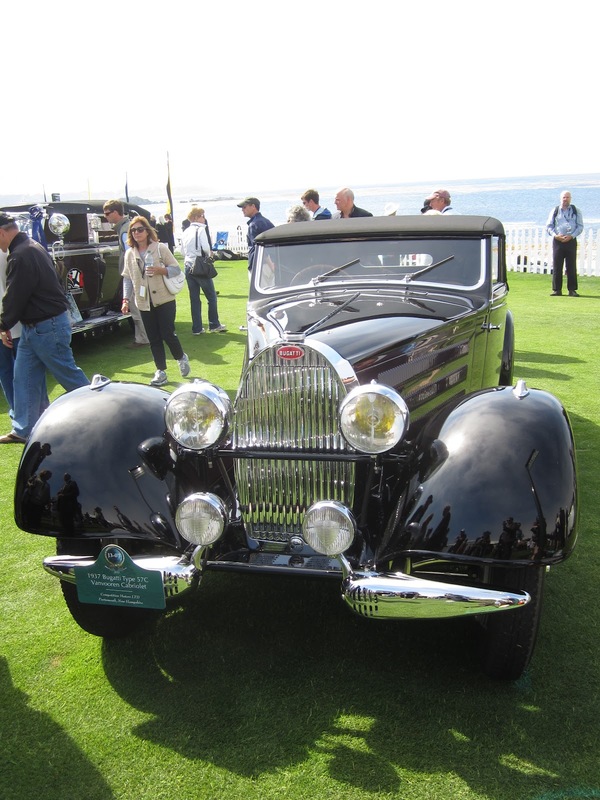 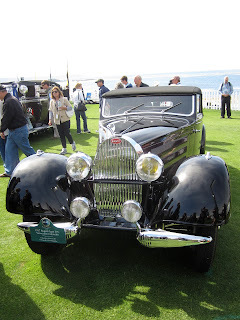 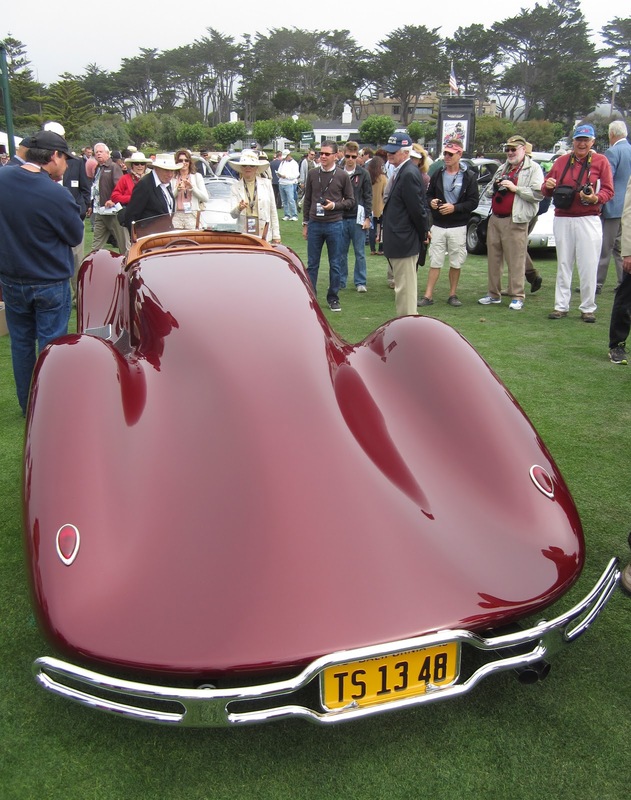 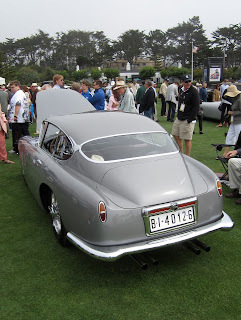 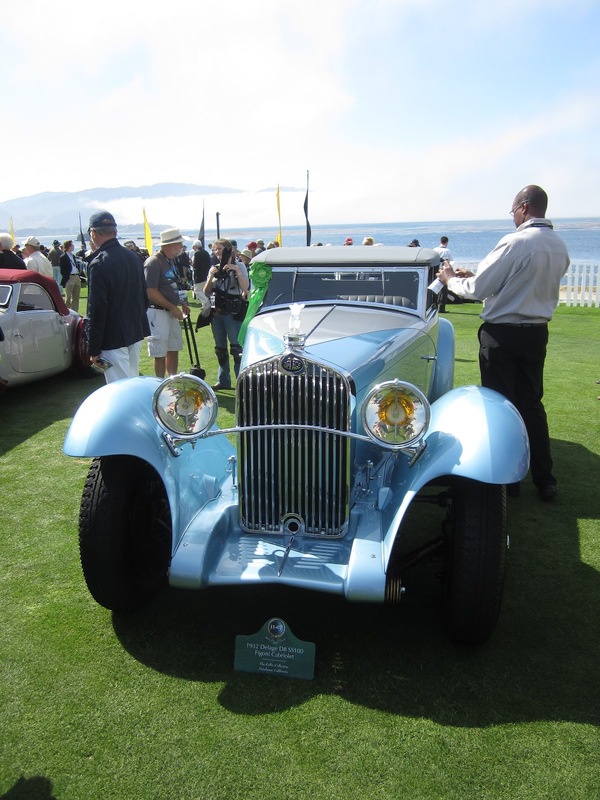 If you are a fan of Roll Royce, Delahaye, Hispano-Suiza or Talbot Lago automobiles then Pebble Beach is the place for you. 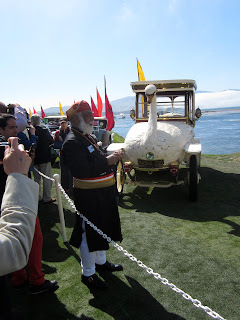 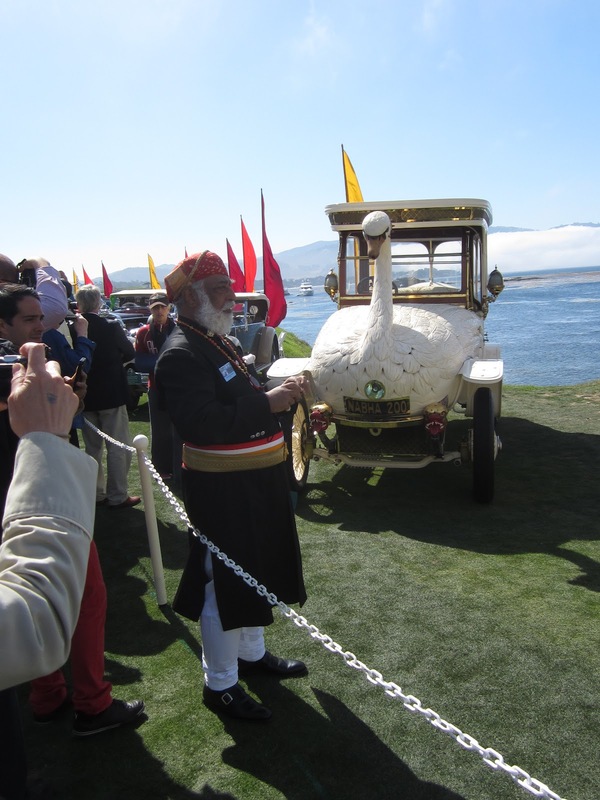 Looking for a swan car? 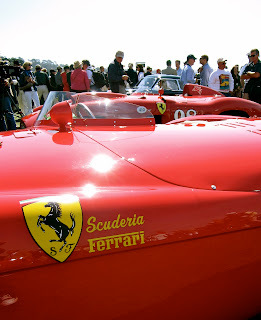 Amongst all of the large Rolls Royce and Packard automobiles, there were still plenty of Ferrari and Mercedes sports cars. 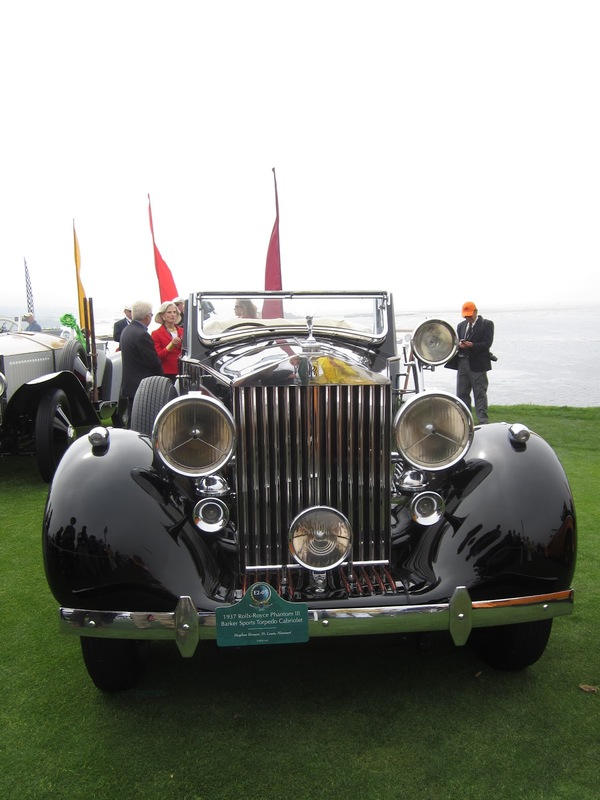 There was just about every make, model and color of Rolls Royce on display at Pebble Beach. I thought the color on this 1937 model was unique. 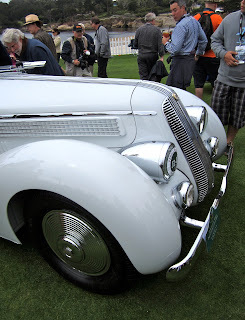 No matter what type of automobiles you liked there was something to catch your eye at the show. 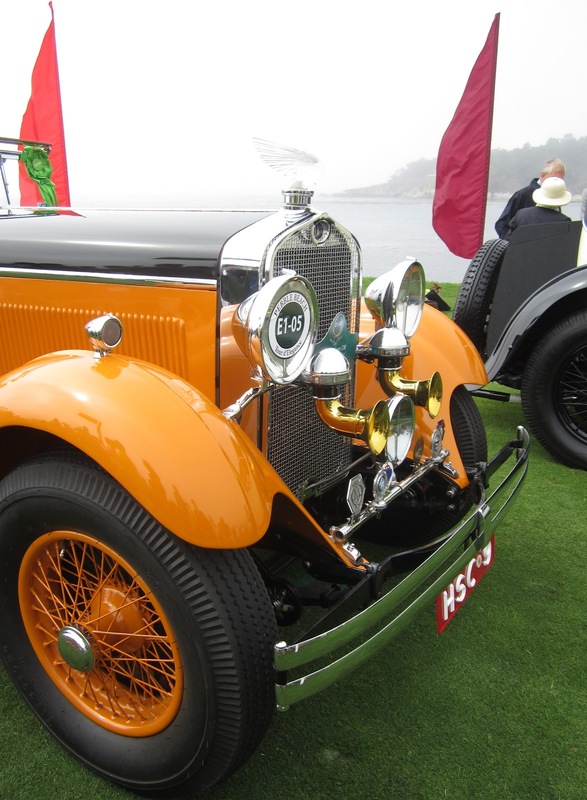 This year the featured categories were: Cars of the Maharajas, Mercer, Fiat, Saoutchik Coachwork, AC and AC Cobra, Hot Rods: Sport Customs and German Motorcycles. 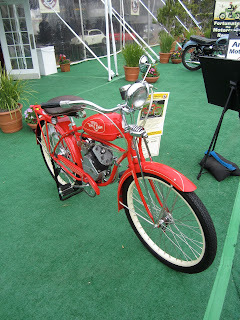 The German motorcycle collection was outstanding. 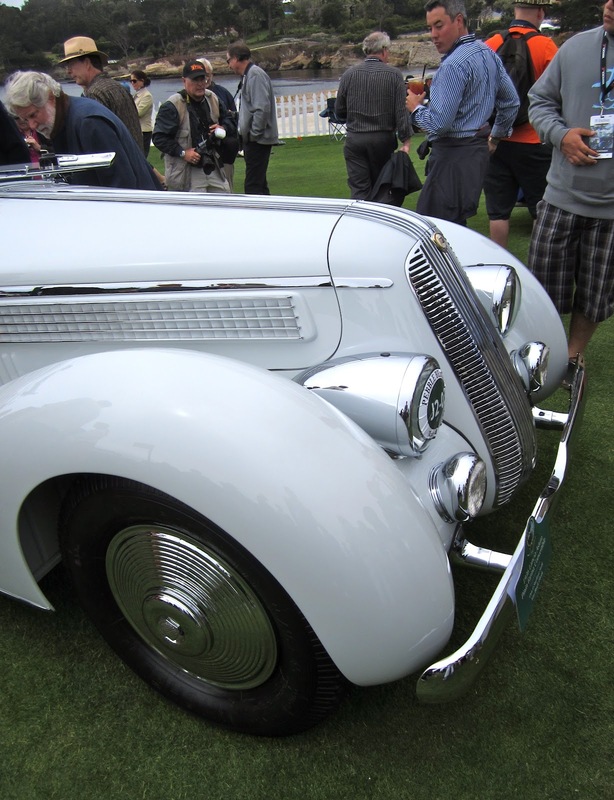 This 1934 BMW R7 Motorcycle attracted a lot of attention from spectators. 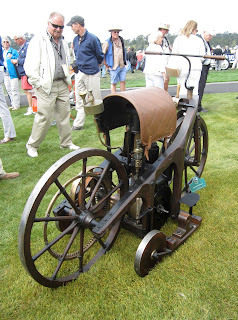 As did the pair of motorcycles from the late 1800s. 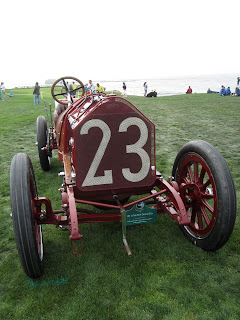 There were many touring and race cars on display. A few of them were fully restored, while many of them had much of the original parts and equipment. There were plenty of Mercedes vehicles on display vying for the class honors. 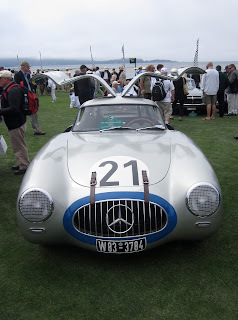 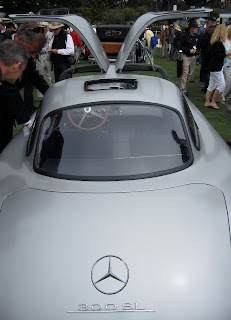 From a large group of 300SL Gull Wings to a few open roadsters, there was a nice collection. 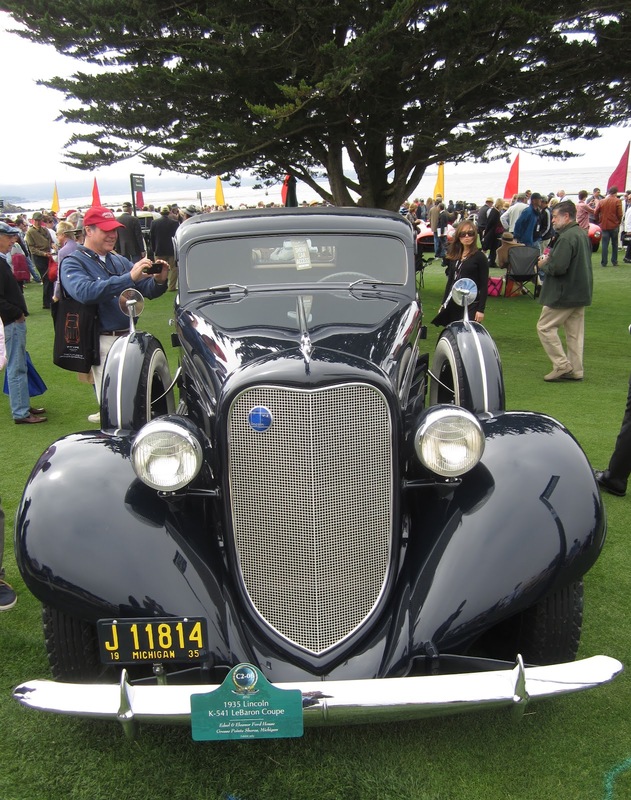 Many of the American cars that were in competition were Lincoln and Packard automobiles, though in the Sport Custom category there were some limited production cars from Seward Allen, Studebaker, Lloyd Templeton, and Norman Timbs. 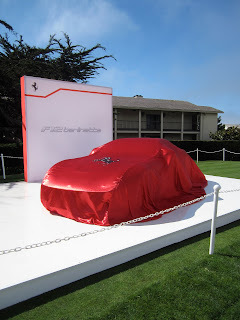 Where is California Car Cover sending me next? Check back here or visit the California Car Cover website.